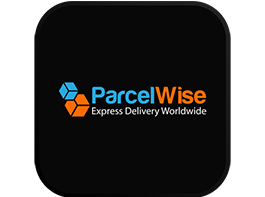 Parcel Wise provide cheap, fast, reliable parcel delivery worldwide. Use this app to integrate Parcel Wise Shipping services to Linnworks to create and print labels, and also submit manifests to Parcel Wise. Parcel Wise was established to provide an outstanding logistics solution at a competitive price point. The eBusiness Guru Parcel Wise integration for Linnworks allows sellers to use Parcel Wise services without needing to log into a separate portal. To use the Parcel Wise integration, you must first install it from within Linnworks.net. 6. Locate Parcel Wise in the list of available Shipping Providers, and click on Integrate. 7. The first thing you will see is a Third Party Integrations Disclaimer. After reading the warning, you can click on the link at the bottom to review the Parcel Wise Connector’s Terms and Conditions. 11. Click Next to continue integrating Parcel Wise. 12. Enter information into the fields outlined in red, for the Parcel Wise account’s registered user. Your Parcel Wise integration should now show under Shipping, and Integrations. 3)	Locate the Parcel Wise entry, and click the Printer Config button (see above). 3)	Locate the Parcel Wise entry, and click the Quote Settings button. 3)	Locate the Parcel Wise entry, and click the Edit Config button. 5)	Check /edit details related to Sender Address / Service Configuration options, then press Next button. 6)	After clicking Next, you will receive confirmation of Configuration Saved. 7)	All Step:1 – Point A, B & C displayed to user for changes. 3)	Locate the Parcel Wise entry, and click the Services button. 9)	Click the Properties button , to open a new window. This displays available properties of the selected shipping service. 3)	Locate the Parcel Wise entry, and click on the Delete button (as above). If you press Yes, it will allow you to remove the selected Parcel Wise shipping integration from the list of Shipping integrations.